There are plumbing problems you can handle on your own, but others are too big to tackle. Do you know when you need to call in professional help? The five scenarios below may surprise you. The tap won’t stop drippingMost people have lived with a dripping tap at some point. After all, a slight leak like that really isn’t causing much trouble – or is it? 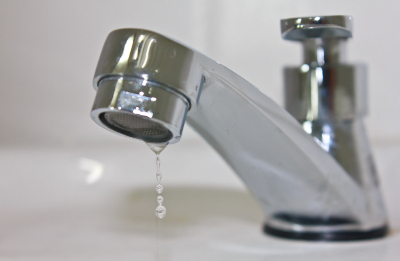 Left unchecked, that dripping can lead to a lot of wasted water: According to the EPA, a leak of 1 drip per second can waste as much as 3,000 gallons of water a year! Worse yet, the leak could be indicative of a bigger plumbing problem. You can try your own hand at fixing the leak, but if that doesn’t work don’t be afraid to call in the professionals. A residential plumber can get to the source of the trouble. Your bathtub won’t drainA bathtub clog must be dealt with immediately. It will only worsen with time, and you’ll be left with more standing water in your tub. A plumber can clear the obstruction and check to be certain it isn’t part of a bigger problem. You can save yourself time and aggravation by addressing the problem early whenever possible. Call in a professional as soon as your tub begins draining slowly, before it escalates to a full clog. Water isn’t flowing correctlyPoor or inconsistent water pressure throughout your home can be a problem. If it’s only in the shower or a faucet or two it may simply be a matter of cleaning mineral buildup out of the fixture. However, widespread problems with water flow could be indicative of a bigger issue with the supply line. A plumber will know how to both diagnose and fix the problem to restore your water pressure to normal. Your pipes are frozenThis is a wintertime plumbing nightmare. If you’ve ever experienced frozen pipes, you know it’s advisable to call a plumber right away. If you haven’t, count yourself lucky and make the call now. It’s wise to bring in a professional before a frozen pipe cracks or bursts, rather than attempting a do-it-yourself thawing. A burst pipe can leave you with a big mess and extensive water damage to your home and belongings. Don’t take a chance; let the experts handle it. Your toilet’s clogged and the plunger isn’t helpingOther than burst pipes, there’s nothing quite so urgent as a toilet clog a plunger can’t clear. The problem could be a sewage line issue too big to be for your basic plunger. Rather than scratch the porcelain or do other damage by trying to break the clog up yourself, call in an expert with the tools and expertise to get your toilet working again. Your local Rods Away plumber is always here to help. If you’re concerned about a plumbing problem give us a call.